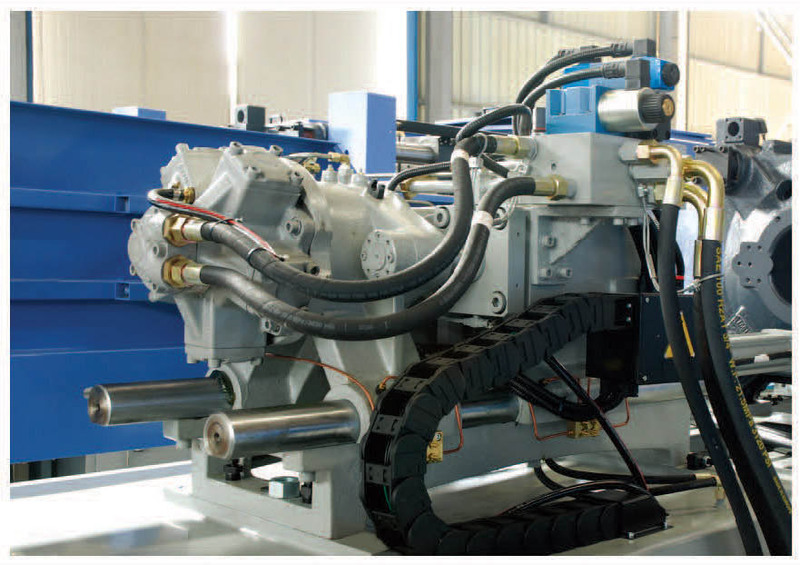 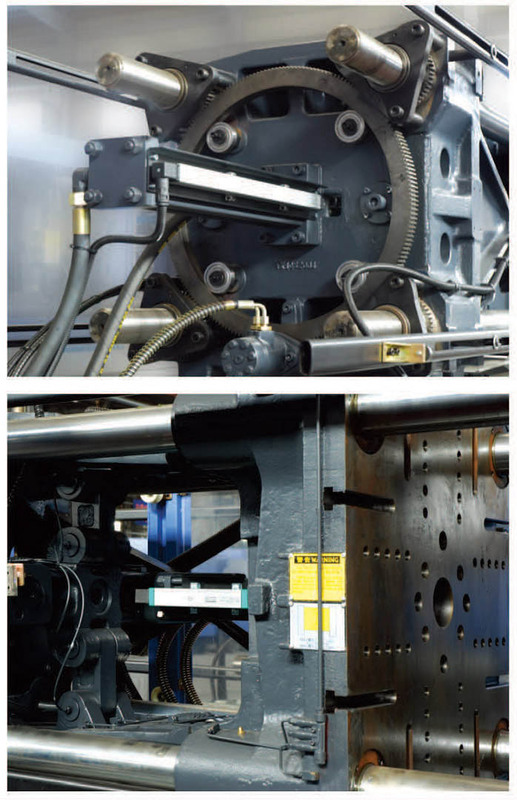 Servo-driven machines from 58Ton to 3300Ton. 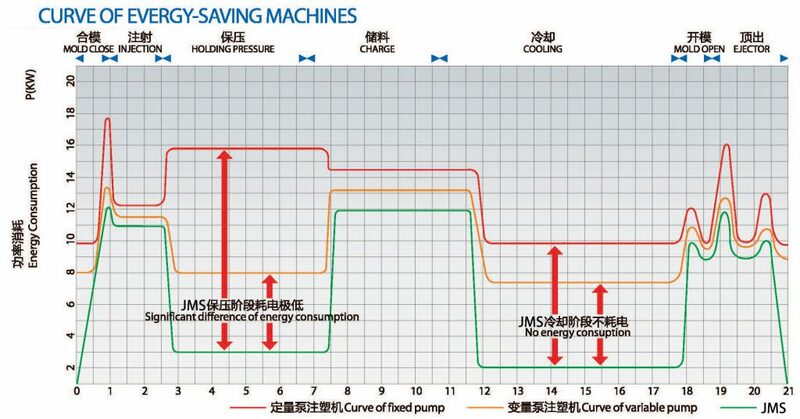 No energy wasting because output volume changes by load. Save 30%-80% than tradition fixed pump machines. 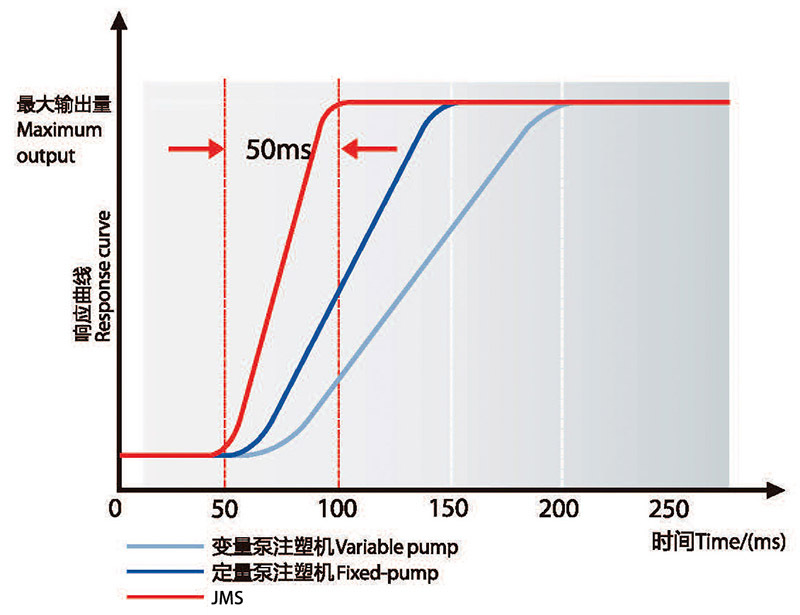 Fast response time of drive system with 0.05s only to reach the max power output. 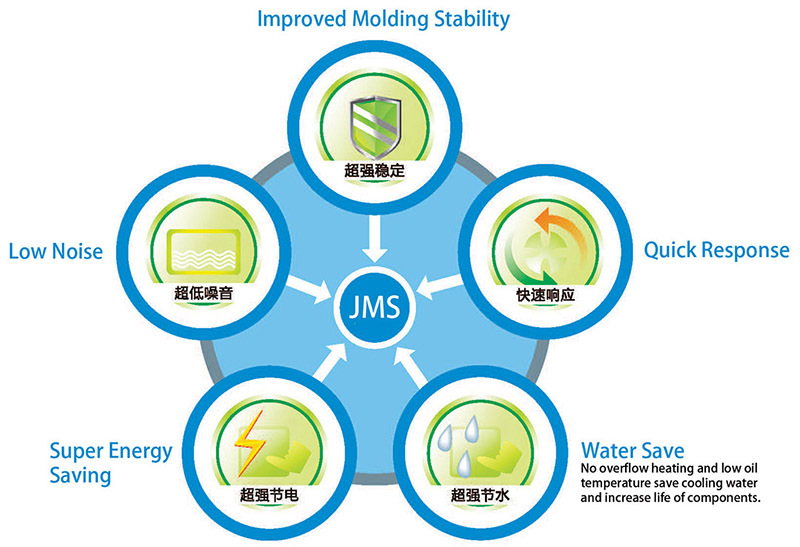 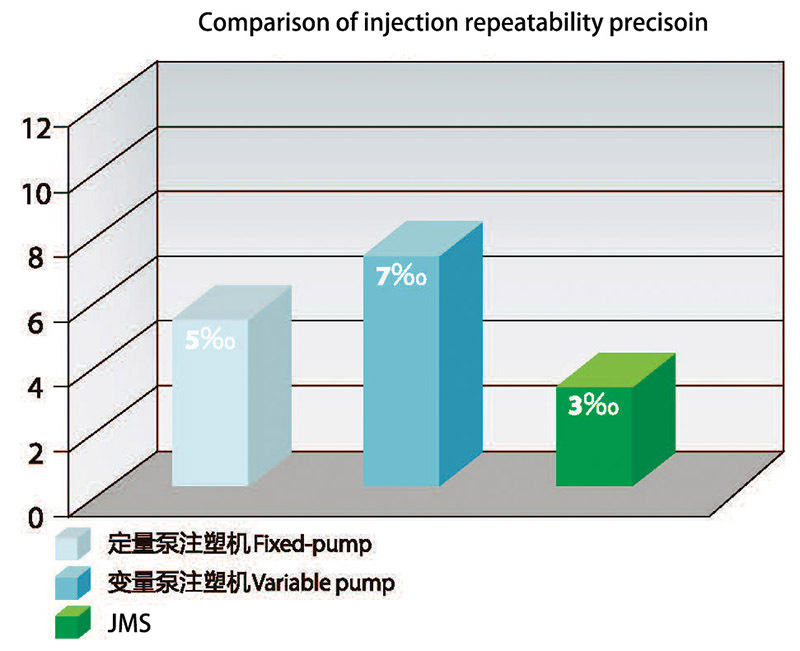 Cycle time is substantially shortened compared with traditional fixed pump machine. 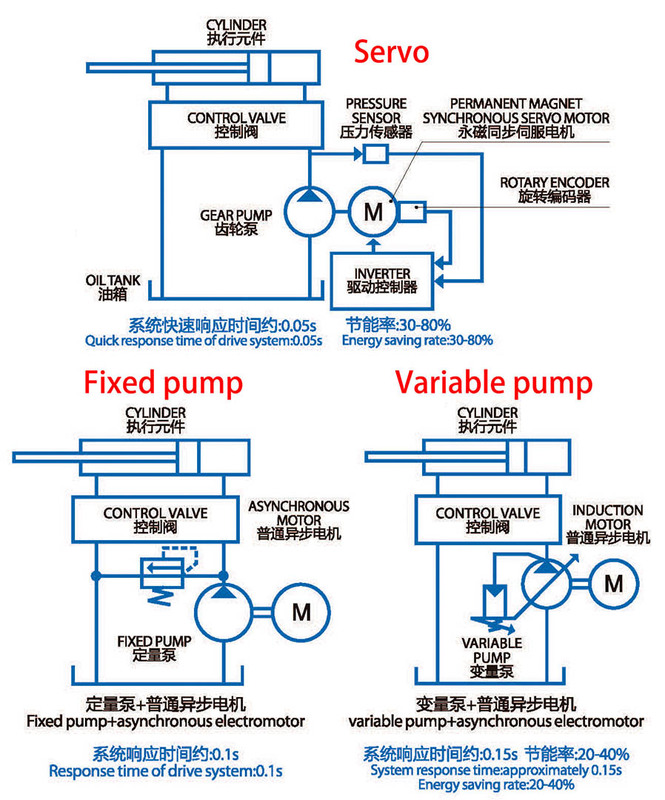 Motor keeps adjusting speed by feedback from sensor to save energy. 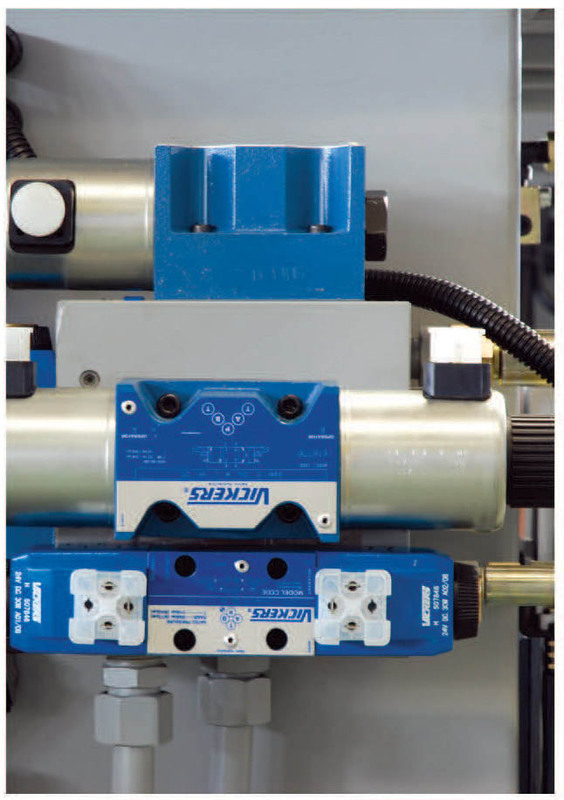 Linear displacement transducer controls injection, clamping and ejection.